We provide professional automotive services that get you back on the road and to keep you. on the road. Welcome to Dynamic Auto Service, where our customers mean the world. We invite you to experience auto repair in Orlando like you’ve never imagined. Here, we combine exemplary customer service and expert auto care in a way that makes it a pleasure to see us each and every time. We employ a team of professionals who are highly trained experts in their fields, utilizing state of the art equipment, and providing the best auto care imaginable. 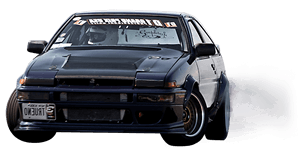 We are an auto repair service in Orlando who is passionate about cars and who understands the high standards you have when it comes to your ride. Our specialists will repair your vehicle to the manufacturer’s standards and make sure that quality and safety are not compromised in any way. We provide professional automotive services that get you back on the road and to keep you on the road. 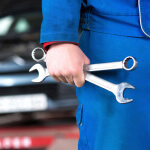 Stop in for tire services, preventative maintenance, state inspections, and a wide variety of auto repair services from a trusted, local auto repair shop in Orlando. We can handle any automotive service, maintenance or repairs that you may need. We look forward to helping you with your auto repair and service needs to keep your car, truck or SUV safe and reliable. 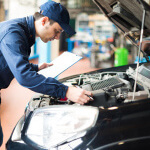 Our shop takes great pride in your auto repair in Orlando. We service cars, trucks, SUV's, classics, muscle cars and many other type vehicles. 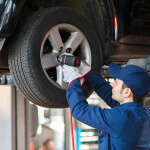 The latest computerized equipment is used to diagnose and repair your vehicles transmission. Highly trained and certified technicians with many years of experience make sure the job is done right the first time! 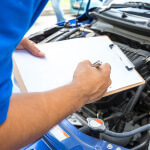 It doesn’t matter what your vehicle’s make or model is; we are the auto service in Orlando who can get the job done right for each and every one of our customers. We have specialized equipment to test and evaluate your car tttttor truck, making sure it runs as efficiently and smoothly as possible. We pride ourselves on being an auto service in Orlando who will be able to make your car or truck run as good as new, saving you money, and keeping a smile on your face. Our shop employs only the most honest and skilled technicians around. We put a large emphasis on being an auto repair shop in Orlando who locals can trust, whether they need an inspection, tune-up, or more, we stress the importance of customer service for each and every person walking through our doors. Whether you have a question, comment, or want to schedule an appointment, Dynamic Auto Service in Orlando is pleased to hear from you. We have highly trained and certified technicians with many years of experience make sure the job is done right the first time!